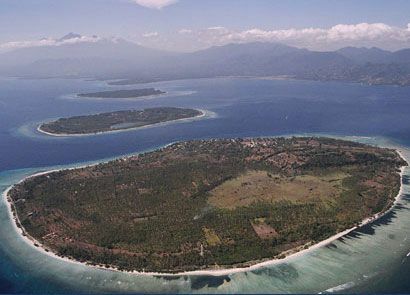 There is something special about being the first international hotel on an island as you will experience at Hotel Villa Ombak on the idyllic island of Gili Trawangan, the largest of the three Gili Islands off Lombok's north western coastline. 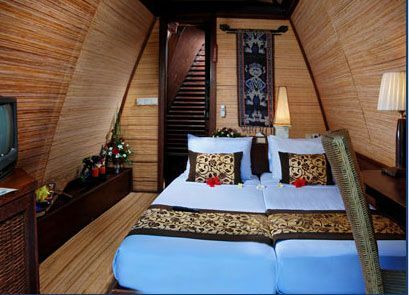 Blending in with the natural beauty of the secluded island landscape, this charming hotel has been designed in the local Lombok Sasak style with wooden structures and traditional Lumbung roof. 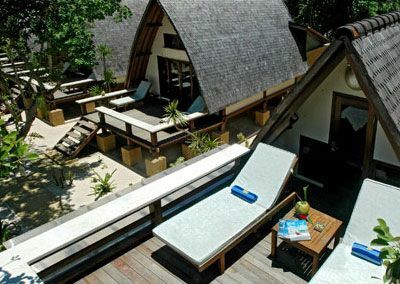 We like the Lumbung Huts nestled in tropical gardens with balcony, private open-air bathroom and furnished living area, complete with hammock to lounge in while sipping on a refreshing Kelapa Muda or young coconut from the Island Pool Bar. 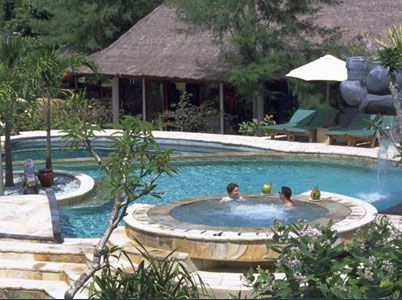 Enjoy the variety of tropical island, water-based activities from the Villa Ombak Diving Academy to the three-level pool, complete with waterfall and pool island overlooking the glimmering sea and neighbouring Gili Islands with Mt. Rinjani framed in the background. For the more adventurous, head up to Mt. Rinjani on a mountain tour or embark upon an island tour on horse and cart. The Lombok Culture tour on the mainland covers the cultural highlights of this part of Indonesia from temples to monkey forests galore. We like: The tranquil seclusion of island life. 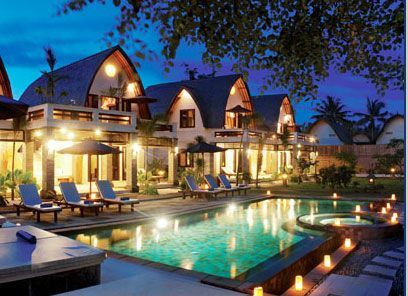 Best for: An idyllic tropcial island getaway.